pen jump lets you fly high! That means full access to all Sky Zone activities, including the Main Court (free jump), the Foam Zone (freestyle jumping into foam), Ultimate Dodgeball, SkySlam, and more! Open jump is available during normal operating hours. 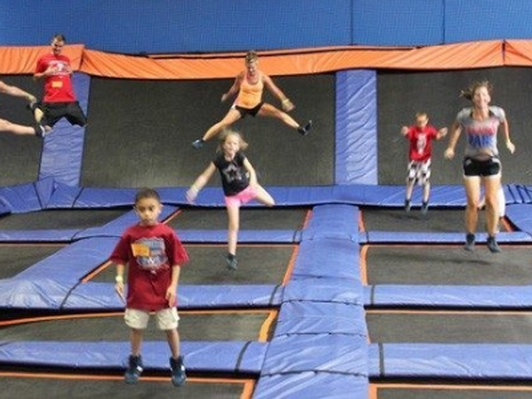 All ages are welcome, and a Sky Zone liability waiver is required for each jumper (those under 18 must have their waiver signed by their parent or legal guardian). Weekends can get busy, so book your spot online and fill out a waiver in advance. Park offerings vary by location. Walk-ins welcome! Jump times start every 30 minutes.